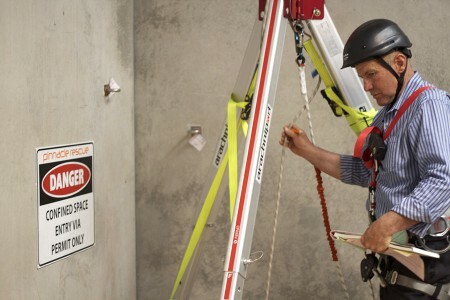 Allows workers to perform basic risk assessments and enter a confined space to conduct work under an issued permit. 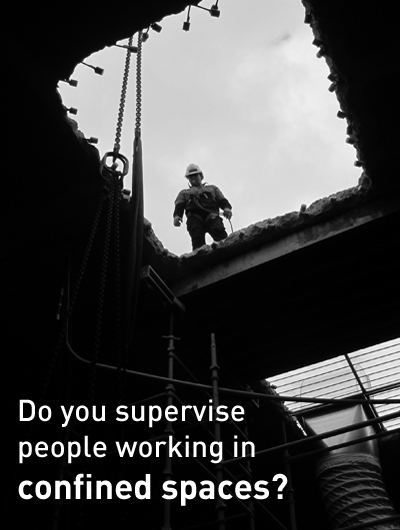 Note: This is our basic course which gives you the skills to review a risk assessment, enter a confined space in accordance with an issued permit to conduct work, and act as a standby person. 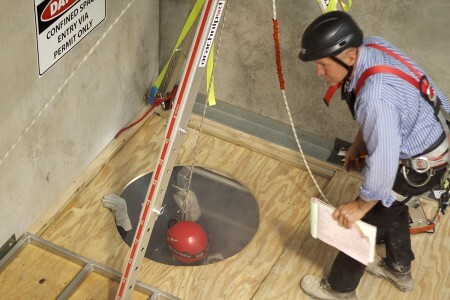 For more advanced confined space training (including gas testing, issuing permits, use of breathing apparatus) or for training that covers planning and supervision of confined space operations, see our Confined Space 2 day course. 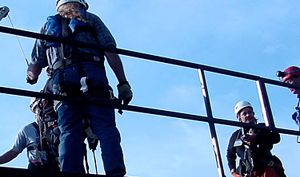 This advanced training is required for anyone who may be required to control the works in the space via permit issuing, operate gas detectors, or otherwise supervise confined space operations. 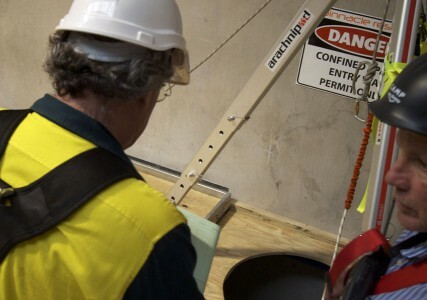 Operate various confined space safety equipment. Raymond the trainer spoke very clearly (important) and was obviously very knowledgeable about confined space. He highlighted practical applications and really got the “personal safety” message across to the group. I have done these courses before, however I got more out of this due to the “SKILL” of the trainer to get the critical messages across. The practical exercises were helpful in executing all the theory we had learnt during the morning session. Having three practical exercises is a good strategy as I was able to gain something from each one confined space entry (mistakes I made plus observing others under a little pressure). A good one-day course which I would recommend.